Madhya Pradesh police have booked a Kashmiri student on charges of “stoking tension” with a pro-Pakistan Facebook comment after the team’s Champions Trophy win over India last Sunday, the Hindustan Times reported today. The Kashmiri student, identified as Seh Mudasir of south Kashmir’s Shopain district, had reacted to a minor boy of Gwalior on Facebook after Pakistan thrashed India in Champions Trophy final by 180 runs: “I am a Kashmiri and I like Pakistan. Pakistan Zindabad,” the report said. The minor boy had congratulated Pakistan for the win on June 18 and expressed disappointment over India’s performance, the report said. Mudasir is pursuing his post-graduation in Botany from Jiwaji University, Gwalior, and has gone home while waiting for the results of his final examination, said police, the report added. He had rented a house in Gwalior. The police said that tensions rose after Mudasir’s comment on the boy’s post, the report claimed. Locals attacked the minor on Friday and called him anti-national even as they looked for Mudasir, police officials told the newspaper. Police registered a case against Mudasir, the minor and another person under section 153 of IPC for on charges of “wantonly giving provocation with intent to cause riot”, the report said, adding that a case has also been registered against a person for attacking the minor, the report said. “Mudasir’s comment created tension and created a riot-like situation. He will be arrested when he comes to collect his degree. If he doesn’t come, a team will go to Shopian to arrest him,” Gwalior (City) superintendent of police Shailendra Jadon was quoted as saying. 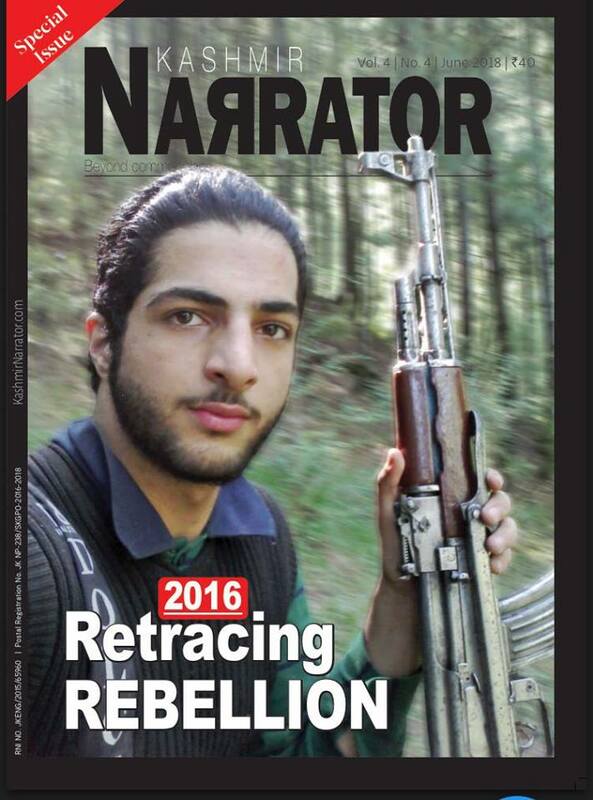 Police said investigations showed Mudasir had earlier liked posts hailing slain militant Burhan Wani and shared posts related to Hizb-ul-Mujahideen on Facebook, the report said. “We are handling this matter with extra care so that it doesn’t affect other Kashmiri students,” a police official told the newspaper.